Many of the systems, processes, and policies organizations rely upon on a daily basis are binary in nature, while the world we live in is non-binary. As a result, despite our best intentions, our organizations are often unwelcoming to potential customers and employees, and reflect unconscious bias. This webinar will discuss identifying and recognizing bias in the systems and processes we use every day, and identify strategies for designing systems to be inclusive and welcoming. 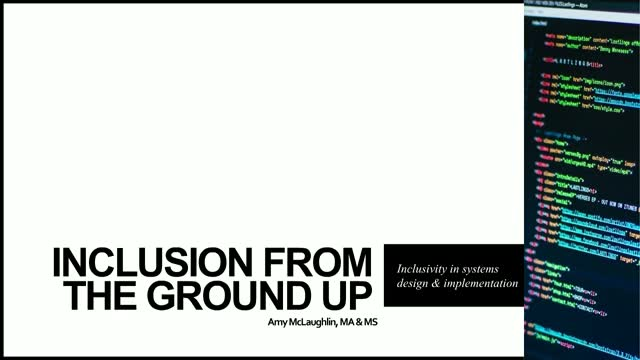 Amy McLaughlin found her professional niche when she integrated her commitment education and inclusion with her passion for information security and technology. A 20+ year veteran of state, local, and federal government and education employment with 15 years of management and leadership experience in information technology, information security and data privacy, she is currently serving as the Director of Information Services for Student Health at Oregon State University. Amy is an ISACA Certified Information Security Manager (CISM) and a CoSN Certified Education Technology Leader (CETL).